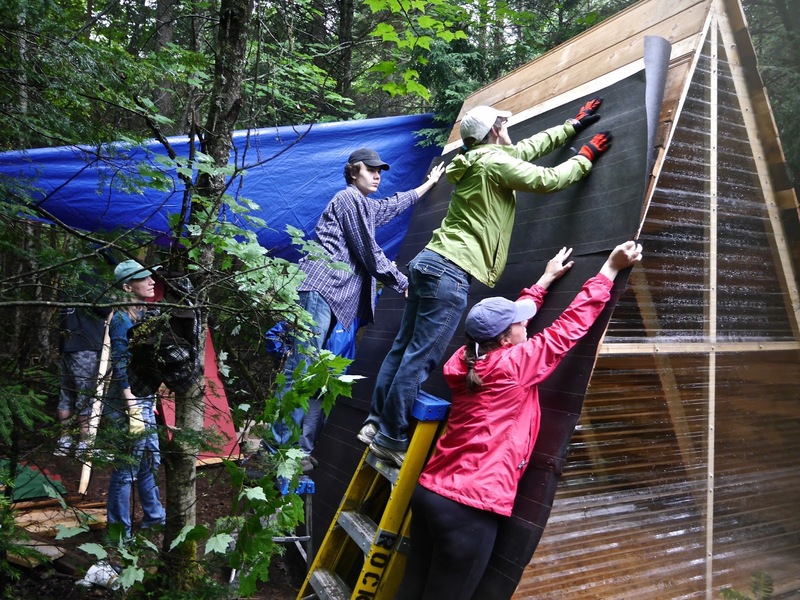 ACTUALLY BUILD, HEAR FROM TINY HOUSE PROS, SEE LIVE DEMOS, TOUR A TINY HOUSE, and MORE!!! -All while helping out the town center with design, art, and funky builds! Hosted by Derek and Dustin Diedricksen, who have hosted/built/designed for their HGTV/DIY Network show "Tiny House Builders", as well as for other tv shows! We've hosted over a DOZEN workshops since 2012, so "this isn't our first rodeo".... these workshops are designed to be FUN, and for all skill levels, and with LOTS of creativity and problem-solving wrapped into them. 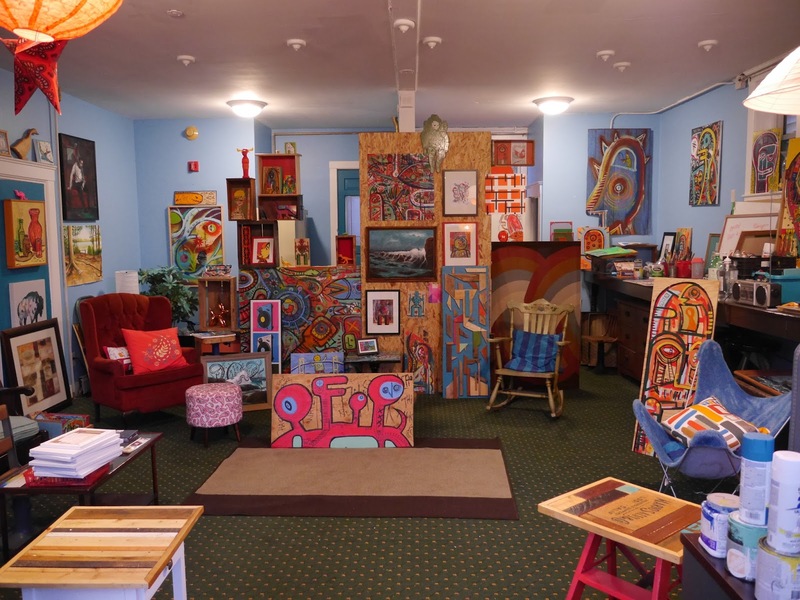 So this workshop is a little different than our other ones (like the "Tiny House Summer Camp 3" event in September) in that its smaller, more intimate, and has a slightly more eclectic focus. We'll only accept FIFTEEN students- which is VERY GOOD NEWS for you- it means you get a ton of individual attention, time to ask questions, and more time to DO n' build! 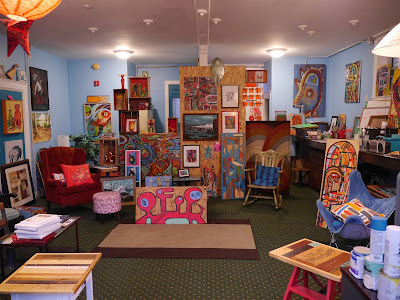 If you're not one for larger workshops in hotel conference rooms, this hands-on workshop is quite the opposite in that it will be held in Deek's personal art studio in downtown Stoughton, MA (10 miles outside Boston). We already have a few signed up before posting this sign-up page, so if you're considering attending, don't wait too long. This workshop is also the lowest priced one we offer. Its two full days, at $225, (or one day for $140) which is a heck of a lot more reasonable than most workshops, and ANY workshop with hands-on projects. 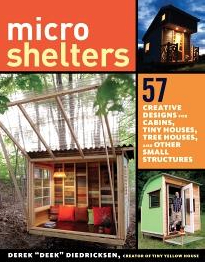 Derek "Deek" Diedricksen- Deek has designed/built and hosted for HGTV, The DIY Network, and beyond, and is the author of two tiny house-related books- "Humble Homes, Simple Shacks", AND the upcoming book "Microshelters". Palo Coleman- Bamboo joinery, scroll saw techniques, and more. 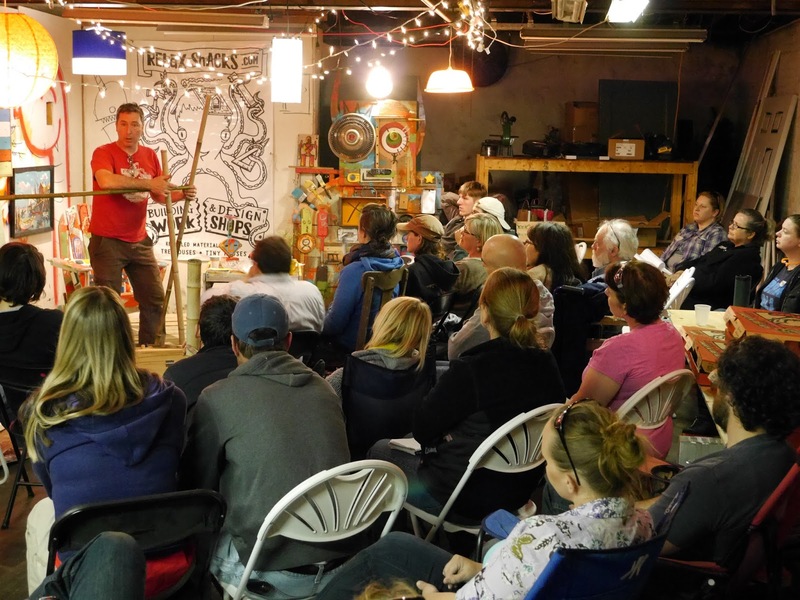 Palo has spoken at many tiny ouse workshops around the US since 2011. Chris Haynes- (who you might know from his viral tiny house tour/video on youtube). 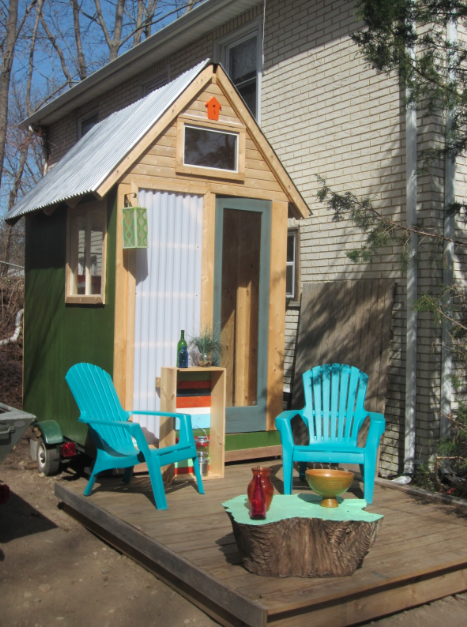 Chris has built TWO tiny houses- and legally lives in a tiny house right now. Pick his brain! 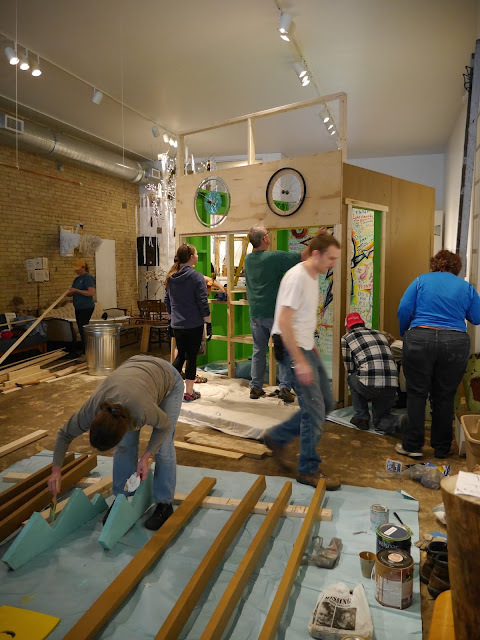 Dustin was also part of our tv show team for HGTV's "Tiny House Builders". 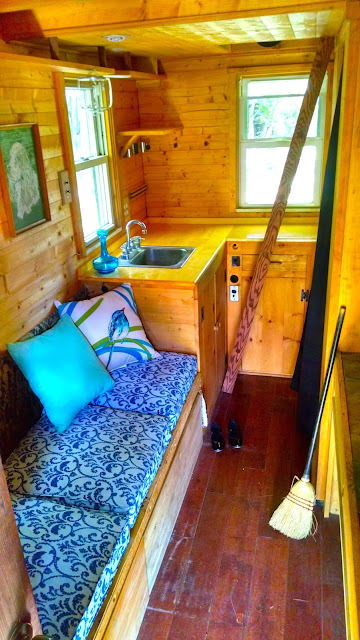 A modified Tumbleweed XS- one of the smallest fully functional tiny houses out there! AND this one.... which we built at a previous hands-on workshop! So don't miss out! RARELY are workshops this small and intimate! 'Hope to see you there! Refund Policy: PLEASE make sure your calendar is clear before signing up. As this workshop is so near, we will not offer refunds, but will VERY fairly offer you a rain check for a future small workshop if you give us notice ahead of time that you won't be making it.